The ACCU-STACK 7000 bulk pack stacker will gently and accurately stack unwrapped reams of paper to a preset stack count. 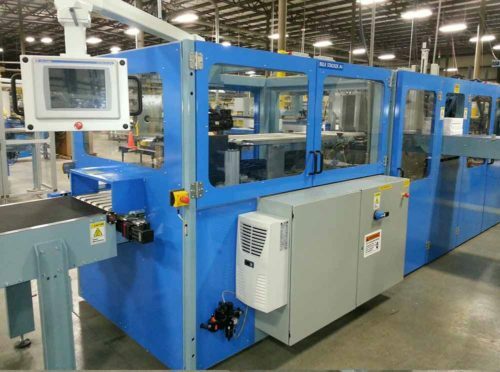 Once the desired sheet count is achieved, the Accu-Stack 7000 discharges the stack to the Accu-Pack 6000 where it is case packed. 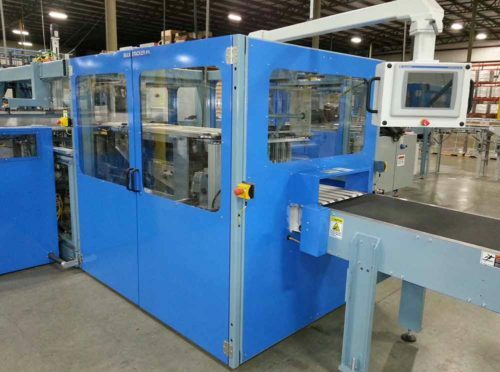 By utilizing servo control technology, the Accu-Stack 7000 is capable of stacking 50 reams per minute. The stack is of the highest quality with no sheets out of place. 8 axis of servo controlled motion (Allen-Bradley standard, other available upon request). Contact DW Engineering to discuss bulk stackers.